Wondering about the title? No, we're not pregnant again, read on for the explanation! Sometimes I get so overwhelmed with things going on in the world I just want to stick my head in the sand like an ostrich. I hear about the suffering in so many different places, Aleppo, North Africa, people who have lived their entire lives in refugee camps. Even people in the US, homeless, and children in foster care. Sometimes I read Jesus' words to the rich young ruler, "Sell everything you have and give to the poor, and you will have treasure in heaven. Then come, and follow me." Mark 10:21 and I know that we are rich and will be held accountable for what we have done with our riches. But I don't know where to start. What can one person do *unless you are Warren Buffet* to alleviate much suffering? Sometime in the last year I came across the writings of Craig Greenfield. I believe I was introduced to him through A Life Overseas (also a wonderful place to read) or perhaps another missions blog or group that I subscribe to. Craig writes from a place of coming alongside those in poverty and what helping them practically looks like, both in missions overseas and at home. A few weeks ago he shared a blog called How to Balance the Needs of your Family with those of the Poor and to put it bluntly, I can't get it out of my head. When you have time PLEASE jump over and read the whole thing, it's not long and I'll wait! Read it? *(there's a summary at the bottom here) Great, now tell me, could we stretch the resources of our families to include just one more? 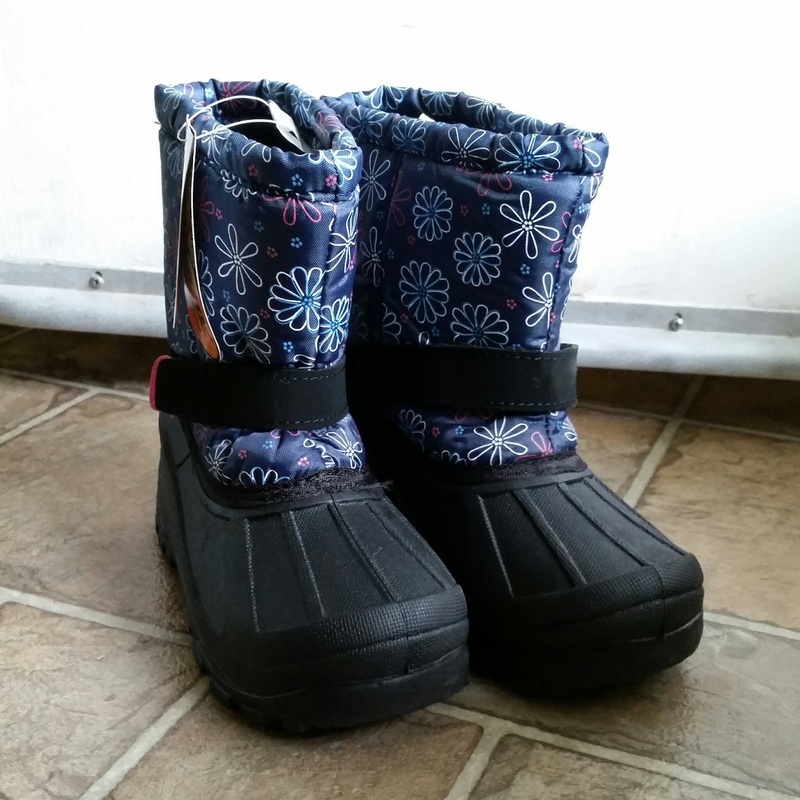 I'm buying all the snow clothes for my kids (see boots in the photo! ), can I find an extra set to give to a child in need? At Christmas an extra $50 gift out of the Compassion or World Vision catalogs doesn't seem like much, but that's usually what we spend on each of our children. Can we spread it just a little farther? The day I came across this post of Craig's I had received a call that my latest Compassion child dropped out of the program and would I like to sign up for a new one. It occurred to me that it's been exactly 20 years since I started sponsoring children through Compassion. $38 a month doesn't seem like it could help a lot, but what if that's my fifth child? In those 20 years I have had 4 different children. A couple have dropped out, one has graduated the program, and I honestly can't remember what's happened to the other. But I know, even if they dropped out, their lives were changed. How can you change things for just one child? There are so many ways to do this that it's blowing my mind! And I'm sure you could come up with many more examples of ways that you purchase things for your children, mine are still small so there may be things older kids need I wouldn't even think of. I am so excited about this though! I've always felt powerless to change the world, but I don't think that's our calling, unless we are specifically blessed in ways that allow for that. But can you imagine if each and everyone one of us would spread our resources just a little farther? How much of an impact could we collectively have??? Please leave any other ideas you have in comments, I'd love to hear them and maybe incorporate them too! *the story is that a friend of Ghandi's asked villagers in India to include one more member in their family, one of the poor, when dividing their inheritance, as a way of helping bring up the lowest members of their society. And it worked like crazy!